Hooray, you're back - fantastic drawing, fantastic colour. There is something kind of retro about this one ... except for his tablet of course... He probably wants to look up Illustration Friday. 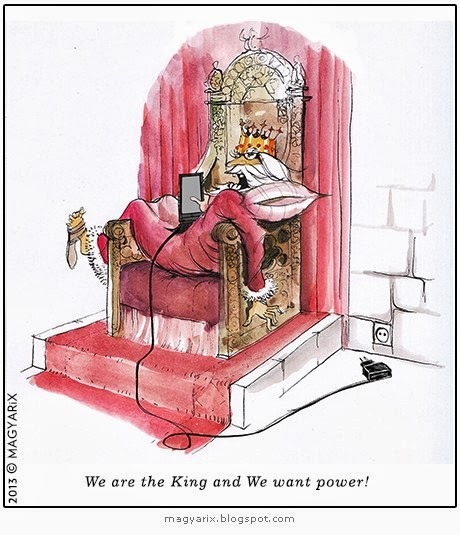 I'll bet that's what kings of old would do all day if they had Ipads back then: "The king has just ordered your beheading, well, not in so many words, but he texted it to us"